Your local Oakville personal injury lawyers at AG Injury Law Office are experts when it comes to helping victims of personal injury get the maximum compensation that they deserve. If you or a loved one has been injured, AG Injury Law Office is here to protect your rights and ensure that justice is served. Our Oakville personal injury lawyers specialize in car accidents, motorcycle accidents, public transit accidents, slip and falls, dog bites, orthopaedic injuries, as well as injuries of the spinal cord and traumatic brain injuries. At AG Injury Law Office, we realize that sometimes injury victims are confined to their homes or hospital beds; in order to ensure the victims’ rights are protected, we offer home and hospital visits. Personal injury victims and their families can be unduly burdened by medical invoices, unpaid bills, and loss of wages, as well as other out-of-pocket-expenses; that is why working on a contingency basis is one of our key practices, which ensures that you don’t have to pay until your case is successfully settled. AG Injury Law Office works with local medical professionals and those from surrounding areas who can provide a thorough assessment and diagnosis of your injuries as well create an effective treatment plan that will ensure you get your life back on track. Our Oakville personal injury lawyers possess relevant trial experience and have successfully conducted cases at various levels of Ontario courts. We will not be intimidated by aggressive opposing legal teams into accepting anything less than what our clients truly deserve. 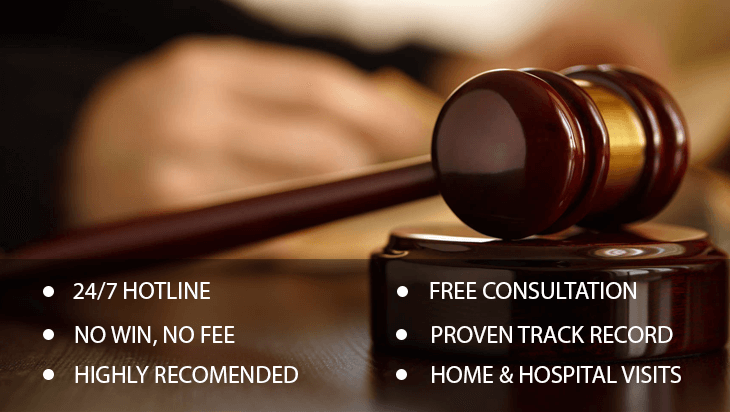 Contact us for a free consultation, and find out what our legal team can do for you. At AG Injury Law Office, we work as a team where each injury lawyer in Oakville and paralegal staff works seamlessly to create a strong case for our client. With years of serving the community at Oakville, we have honed our legal knowledge and skills over the years, as we stand behind each victim that seeks personal injury compensation benefits. We have recovered millions of dollars for the clients, creating history in the process. Our personal injury lawyers in Oakville have ample experience at trials and out of court negotiations. Our legal team is well versed on all aspects of the personal injury procedures and understands the varied legislations. We are not intimidated by insurance companies into accepting low payouts as compensation. We are ready to go to trial, as and when the need arises so that you are rightfully compensated. With multi-lingual paralegal and clerical staff, it is easy to be understood at AG Injury Law Office. Not just the lawyers but our staff is experienced with complete knowledge and understanding about the claims procedure, with a 1-day response time on all queries. If you are injured need experienced legal representation that focuses all resources to assist you, call us now.